At the end of last year, I had given up hope on healing my body. I felt like I had done everything right – I eat a clean diet, minimal sugar, followed a leaky gut protocol for 30-days, reduced my workouts, and had significantly reduced my stress. But my face remained the same and it seemed other things were starting to pop-up — dry skin around my hairline and muscle fatigue in my shoulder which can be bad at times. I had researched a low-sulfur diet, but honestly it was so restrictive I was hesitant to implement it – okay I don’t want to. I basically told myself, screw it until the renovation is done because at the end of the day, I think it is the culprit for most of my issues. Full disclosure – I don’t clean often and with the reno it is ALWAYS dirty that I don’t see the point. Well that attitude only lasted a few weeks. We are now 5 weeks with no kitchen. Initially, the agreement was NO temporary kitchen – but surprise – Zach, went behind my back and set one up anyway so we have a sink and a little counter space. The plan was that for dinners we would rely on the slow cooker and instant pot, with leftovers for breakfast and lunches would be from a prepared meal service. That plan went pretty well and overall it worked. But in week 3, I started losing it. The kitchen isn’t close to being put back together and the meal service was getting expensive, on top of still buying enough food for dinner and breakfast. The meal service covered probably close to 90% of our lunches for 3 weeks and I had spent over $400! Also, I found the meals limiting, it seemed like a lot of the same foods were repeated and honestly we are used to eating less protein and starches, probably 4x the amount of veggies for lunch, and usually don’t have sauces/dips. My saving grace was my best friend lending me her electric skillet, it has been a game changer. While I have learned to like stews/chilis during this reno, I prefer simple meals with no sauce and not mushy/soft. At the time I was losing it, a friend reached out to coordinate an event for fellow NTPs, I asked about working with her and we jumped right in to supporting my body! The frustrating thing is I have all this knowledge from becoming a NTP but I’m not able to apply that information to myself. A big part of what NTPs do that separate us from others is that we are able to create bioindividual approaches based on what the body tell us using the functional evaluation. Well, I cannot perform that evaluation on myself! I’m so grateful for a fellow NTP in the area, not only can she perform the functional evaluation to identify how to support my body, but she provides another perspective on my health concerns as well as tidbits she’s learned along the way. 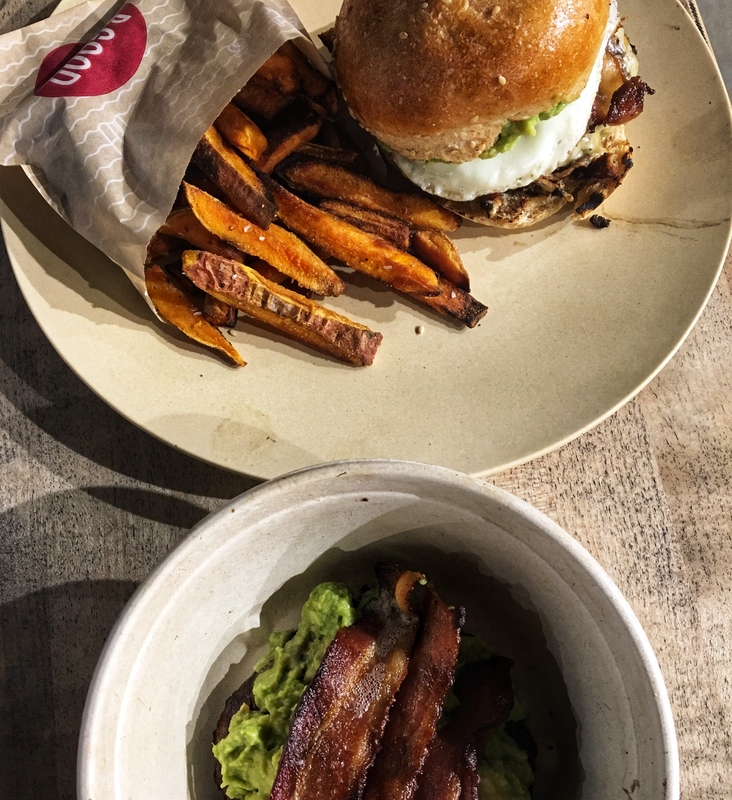 I do have concerns that I have a parasite and SIBO (see previous post), but she reminded me that we need to work first on ensuring I am digesting my food by ensuring I have enough HCl and enzymes to breakdown the food I consume to provide the amino acids, vitamins, and mineral for my body to properly function. Also, most importantly, I need to ensure my body is properly detoxifying before addressing the parasite and SIBO. If any part of the detoxification process is sub-optimal it can cause additional issues when we try to address the parasite and SIBO. Japanese sweet potatoes in the IP! Breakfast sausages – I found sugar-free pork sausages from Kimberton Whole Foods. This provided 2 links a day for a week for me. Japanese sweet potatoes – you can cook these in the Instant Pot!!!! 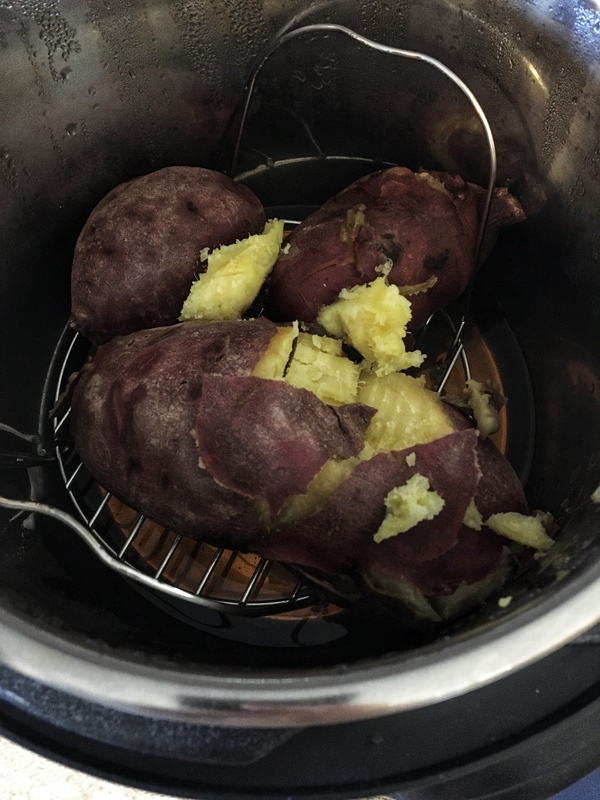 In a single layer on top of a steamer put 3-5 potatoes and add 1/2 – 1 cup of water (basically don’t let it rise above the steamer). Depending on the size of the potatoes you can put it on Steam for 10 – 15 minutes. I tend to buy large ones so I’ve been setting them for 15 minutes and then I let the pressure release on its own. These are mostly for Zach, I only ate them pre/post workouts. Whole Chicken – slow-cooked a pasture-raised chicken from our local farmer (Deep Roots Valley Farm). Covered the chicken with filtered water and added salt and pepper; cooked on low for 8 hours. That’s it! This one provided meat for about 6-8 meals. Remember to save the stock, depending on the size of the bird I can get 2-4 quarts! You can freeze it for future use or sip on it during the week. 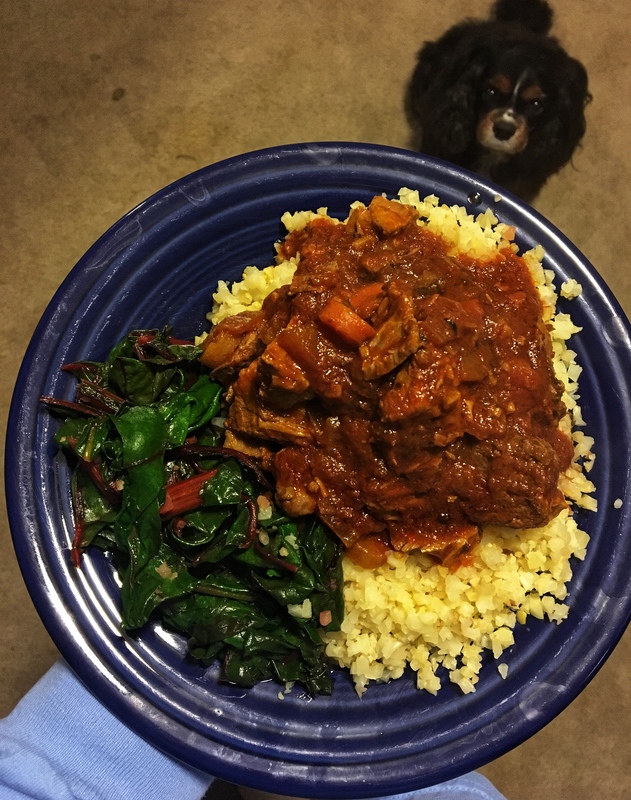 On Monday morning, I made this Lamb Ragu recipe (I slightly modified it and cooked it in the slow cooker). Since I was out Monday night, it provided a no fuss dinner for Zach and also provided an additional 5-6 meals. Wednesday night, I made this Butter Chicken recipe which provided dinner the following night as well. Breakfast sausage, raw dinosaur/Tuscan kale, and sprouted sunflower seeds drizzled with EVOO. Served with chicken broth and Vital Protein’s Collagen Peptides.